Workington Comets could fold before the end of the Premier League season, if owner Keith Denham decides to withdraw his support. Comets have a possible seven fixtures left to fulfil before the 2012 campaign is wrapped up, while Denham has already decided this will be his last as owner. "I just can't go on making weekly losses, it is not fair on my family," Denham said. "Last Saturday for the visit of Glasgow Tigers I lost almost £3,000." 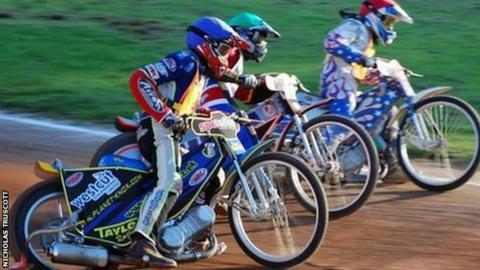 Falling crowds have been cited as one of the reasons why Denham has contacted the British Speedway Promoters' Association to enquire what penalties would be imposed for an early withdrawal from the league. Contrastingly the Comets have been relatively successful on the track, reaching two semi-finals and are in a play-off spot. "It's very sad because we opened the season to a 1,300 crowd but since then we have decreased and some of the crowds recently have been very poor," Denham added. "When I first took over we had healthy four-figure crowds but it does look as though the people of Workington are tired now of speedway in the town. "We have had a side competing well in the League and one which has been unbeaten at Derwent Park but the crowds have continued to decline." Denham has been involved at Workington since he bought the club from Tony Mole in 2007.